From the Inside Out! Feed your skin while starting your day with this smoothie. “EVERY TIME YOU EAT OR DRINK, YOU ARE EITHER FEEDING DISEASE OR FIGHTING IT.” -HEATHER MORGAN, M.S., N.L.C. Recently, I was talking to a friend who has been working really hard on their body, losing weight, getting healthy, looking and feeling great. I’m always impressed when someone is putting this kind of effort into making improvements. They did ask a great question and one that I have thought of and experienced myself. They noticed that as they lost weight and changed their eating habits, their skin began to break out! What! That’s not supposed to happen. You don’t want to exchange one body issue and health concern for another! I thought back through my experience with losing weight and increasing breakouts and realized the answer for me was as simple as what I was putting in my mouth. Are you eating anything different? Once you’ve made the decision to get healthier and if for you that involves losing weight, you may take a look at what supplements can offer and fit your specific needs. This is a controversial area in health and nutrition. Some folks, much smarter than myself, say “Be they type of person who takes supplements without taking them.” Meaning, if you are getting the proper nutrition from your diet, you shouldn’t need to supplement your diet much outside of a basic multivitamin for any extended period of time. I am a big proponent on getting the most bioavailable form of vitamins and minerals directly from your food, but from time to time, you may find it helpful to use some supplementation. But… this may be what is causing you to break out! An unassuming vitamin may be causing a reaction from your skin. Vitamin B12 and B6, for example, can cause irritation and breakouts for a lot of people and subsequently clear up when they stop supplementing this vitamin or reduce the dosage. On top of the supplement itself, take a look at the overall ingredients in the supplements you are taking. Some may have fillers or non-active ingredients that are causing your breakouts. Another area to take stock of are what new foods you are eating that you may be sensitive to. Are you allergic to any of these new foods in your diet? An allergic reaction doesn’t always need to look like anaphylactic shock, but can present itself as a breakout, skin irritation, or inflammation. Often when I have tried to eat healthy, I’ll look for new options that seem lean and may have a lot of health benefits associated with them. For example, a few years back, you couldn’t avoid hearing how great soy is for you and what a good alternative it is for protein. Well, I happen to be very sensitive to soy and after a few days of drinking soy milk or not being dillegent about choosing products without soy as an additive, my skin is in full on breakout mode and punctuated by inflamed pimples. Whey protein contains milk. There are several reasons this could cause acne. You may simply have a sensitivity to milk. Or the hormone inside of it could be causing your body to produce excess oil and increase skin cell production clogging pores. This could also be spiking your insulin levels which could trigger acne production. Many people have allergic reactions to nuts, especially tree nuts, and it may be just enough to cause breakouts. Over 90% of adult allergies are related to nuts. This may not seem glaringly obvious but this would affect a lot of your milk substitutes like almond milk and coconut milk. Take a broad look at your new healthy diet and eliminate what you think may be working against you. Just because it reads ‘healthy’ doesn’t mean ‘safe’. Finally, the last of the big three areas are oils and fats! Wait, What!? You don’t eat fats when you are trying to lose weight! EXACTLY the point! You may not be getting enough of the good healthy fats your skin needs to stay lubricated and moisturized. A lot of folks tend to cut fat from their diets when striving for weight loss. While cutting some fat is good for your body, your skin, hair, and other systems do need good fats and oils. These are called essential fatty acids (EFA) for a reason and your body doesn’t make them on your own. You need to get them from your diet and need a healthy balance of omega 3s and omega 6s. These oils are the building blocks for healthy cell membrains and help produce your skins natural oil barrier that keeps you looking young and your skin from being irritated. Grains, baked goods, cooking oil and poultry. And While we’re at it, you may as well mention Omega-9s. This is an oleic acid that is essential for rejuvenating damaged skin cells and reducing irritation and redness. 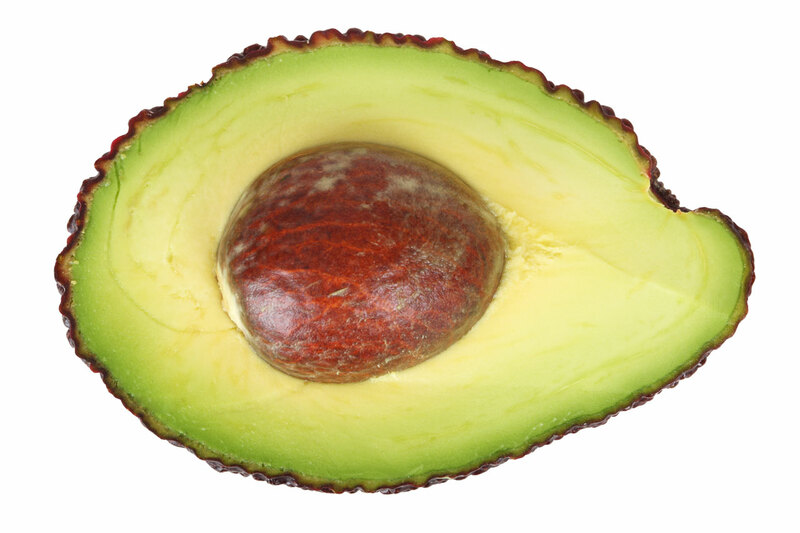 Avocados are a great source of Omega-9s so don’t skim on those fatty superfood skin-savers! While you don’t want to overdue your fat intake, you do want to make sure you get some healthy polyunsaturated fats to keep your skin looking its’ best. Once you’ve examined these three areas, you will likely locate the source of your skin irritation and get back on track to having that glowing skin to go with that new svelte physique! Now that you have nailed down what your diet requires to maintain a healthy body weight, you can take it one step further and find out what foods to eat to make your skin look just as good as your muscles! Great job and keep working out! For some good ideas on overall diets that will be healthy for your new weightloss goals and healthy for your skin, here is a brief look at a few options from Health.com.